The Tone Generator is a handheld, battery powered instrument designed to perform a variety of tests on unenergized telephone lines or LAN cables. Alligator clips and a standard RJ11 plug allow the tone generator to be connected to stripped wires, terminal panels, wall plates, or modular single line jacks. 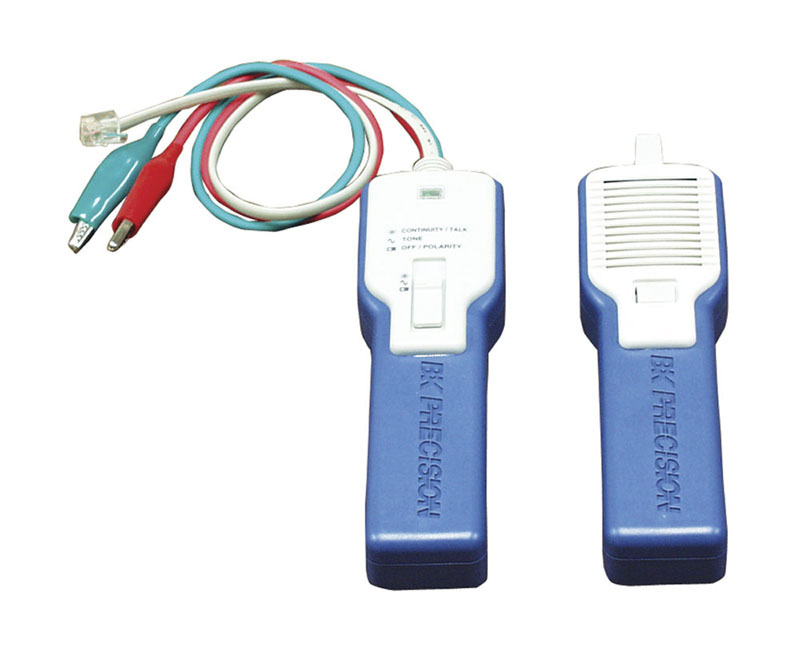 The Line Tracer is a hand held inductive tracer that will help to identify wires without piercing the insulation. It can trace Tone Generator signals through dry wall, wood and many other non metal surfaces.